Companies That May Need Seasonal Business Insurance | The Voss Law Firm, P.C. From small-scale farms that sell pumpkins in October to ski lodges that are open through the winter, seasonal businesses all need insurance coverage to protect them from profit losses. Attorney Bill Voss explains which operators should consider buying seasonal business insurance—and how this coverage can even help businesses that are open year-round. Who Needs Seasonal Business Insurance? Seasonal business insurance can provide coverage for businesses that are only open for a few weeks of the year, such as Christmas tree lots, swimming pools, or fireworks stands. However, it is also a good option for full-time operations that have “busy seasons,” since it provides business income protection for a certain portion of the year. Weak season losses. Many businesses rely on the money they make in high times to sustain them through the rest of the year. For example, a dress shop may make half of its yearly income during the wedding season. 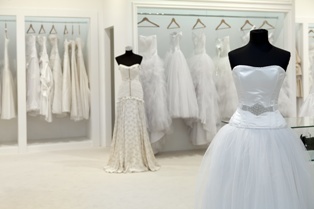 If the shop doesn’t make enough sales during wedding season, it may not have enough funds to pay its rent and employees, forcing it out of business. Seasonal business insurance can make up the difference in the sales, allowing the shop’s doors to stay open. Pop-up shops. Some property owners rent out their vacant buildings to seasonal businesses called “pop-up shops.” These shops can take the form of Halloween stores, restaurants, or any other short-term enterprise. Seasonal insurers can cover the company’s inventory and equipment, and may even offer liability coverage if someone is hurt on the property. Special events. Companies who host concerts, festivals, or other promotional events need coverage just in case the event is canceled. Special events insurance may pay to refund tickets to hundreds of customers, pay for the venue, and replace the income that the event would have generated. Hazard income loss. If a seasonal operator suffers a robbery or weather damage two weeks after opening, they could be under repair for the rest of the season. Some policies offer income replacement for closures caused by covered losses, such as tornadoes, flooding, vandalism, or theft. If you need assistance getting an insurer to cover your property damage losses, we can examine your policy and get you the full amount you are owed. Simply fill out the form on this page today to contact the Voss Law Firm or order a free copy of our book, Commercial Property Owners Must Read This BEFORE Filing an Insurance Claim.